More privacy, less blinding light in your vehicle. 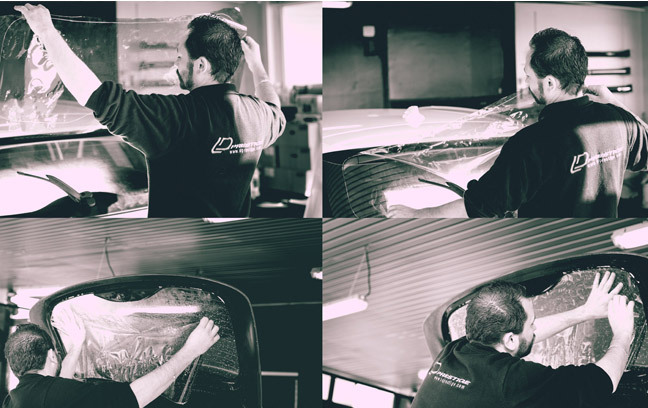 The application of tinted films is often associated with the look of the vehicle, Beyond this aesthetic concept there are many other significant advantages that bring a real comfort of driving..
A reduction of glare inside your cabin. Hiding your belongings and passengers in your vehicle. A reduction in heat penetration that limits the use of air conditioning. We advise you on your choice of tinted windows and colors in compliance with the legislation. In order to provide you a quality service, we chose the best solar protection films on the market. 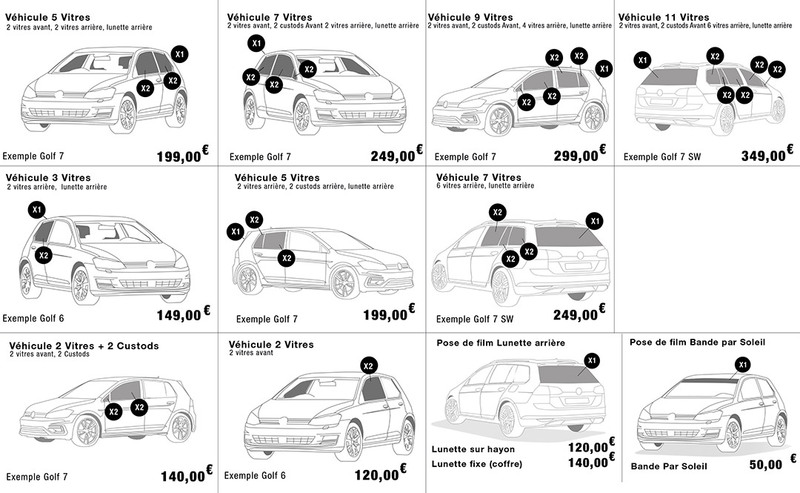 (1) Price for a Complete Vehicle - All windows (except the front windshield). (2) Price for a 3/4 rear vehicle - only rear windows and bezel. Possibility to put tinted windows in the front for €120 including VAT (make an appointment at 0033 (0)3 21 65 71 14). Make an appointment in one of our centers (in Paris or in Pas de Calais Regions). We welcome you from Monday to Friday de 9am to 12am and 2pm to 6pm. « LDPrestige always closer to its customers, is on facebook .